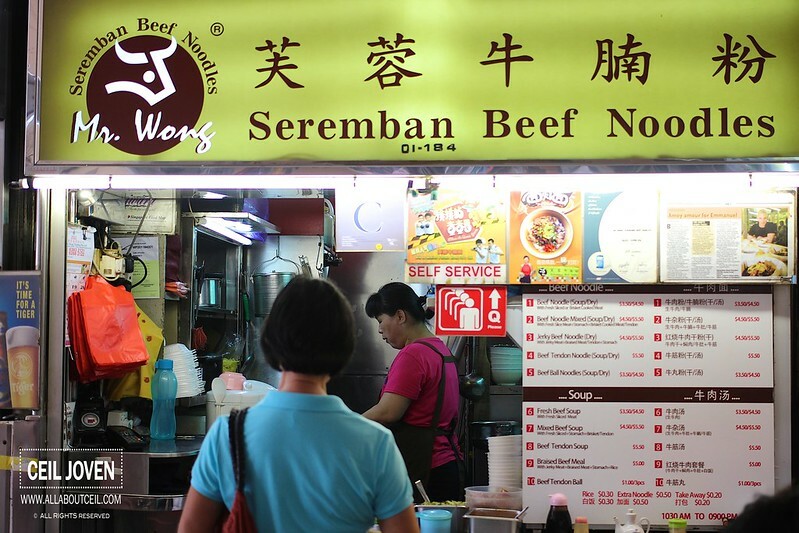 I was told this is a MUST TRY Beef Noodle if i happen to be in this food cetnre. I was there just before lunch so no queue is spotted. I wanted the smallest portion of beef noodle for just $3.50. The lady manning the stall was all by herself to take order, to cook then served it, and collected the payment. It happened so quick. Never really a fan of Beef Noodle and so i did not have much expectation. The taste was generally alright. 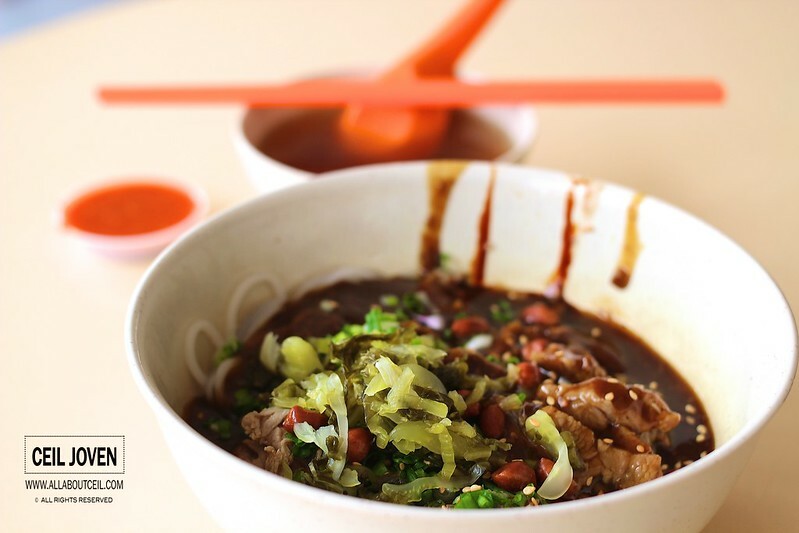 The thick noodle was cooked to the right texture then served with the thick braised sauce. 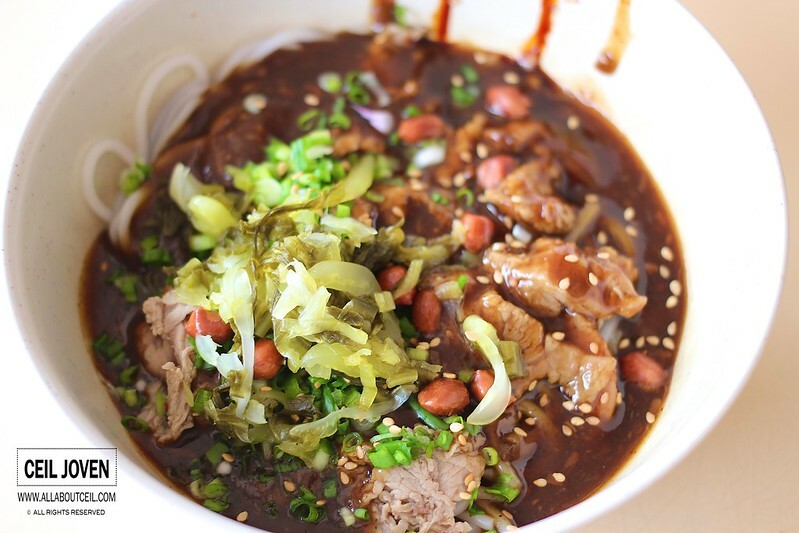 It then topped with the poached sliced beef and the salted vegetable, roasted peanuts and chopped spring onion to serve. Bits of sesame seeds were sprinkled to add flavor. 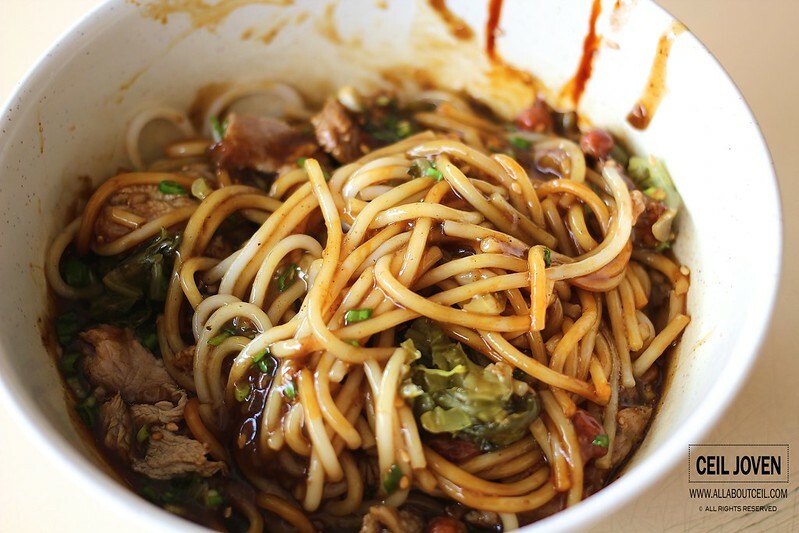 After a good mix, every strand of thick noodle was nicely coated with the braised sauce and ready to eat. It was nice though not exceptionally outstanding. I might just eat it again if i happen to be here and there is no queue. Block 84 Marine Parade Central #01-184 Marine Parade Food Centre SINGAPORE 440084. 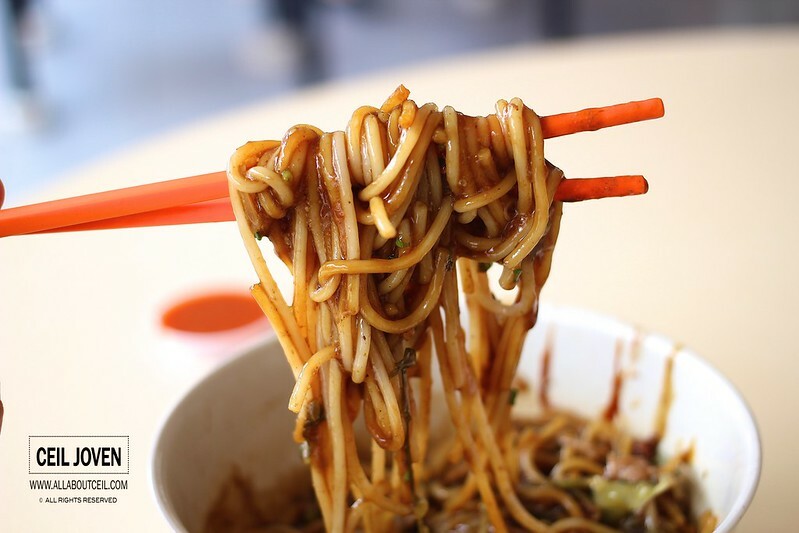 The salted vegetable make the noodle look good!